11 Dinghy has been removed from your favorites! 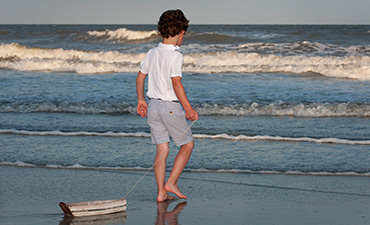 HILTON HEAD. 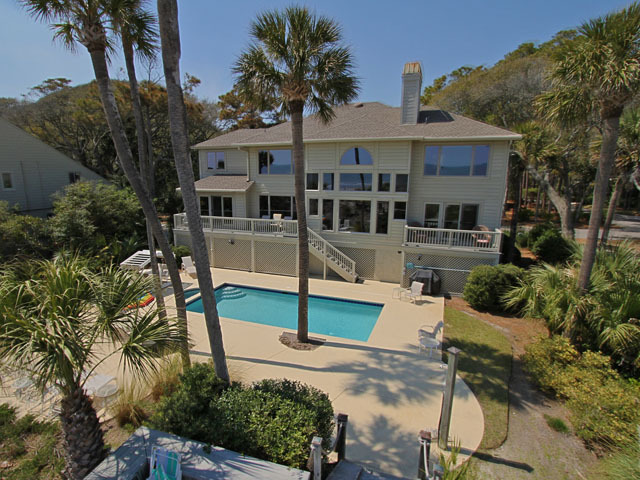 This spectacular oceanfront home in Palmetto Dunes has everything you will need for a first-class vacation. The living room has 28' high spacious great room with new 3D-HD BlueRay 65'TV/ DVD with HD CABLE, PREMIUM CHANNELS, AND INTERNET NETFLIX INSTANT PLAY and Surround Sound. Central Stereo with speakers and volume control in each room. Bar with a wall of glass facing the ocean overlooking a large deck with heated pool and spa with steps to the beach, as well as an outdoor shower. The kitchen is fully equipped with a double oven, Jenn-Air cook top, and an eat-in table for 8 that overlooks the pool and ocean. More formal dining is available at a large table off the entry, also seating 8. The first is a master suite with a king bed, flatscreen TV/DVD, and luxurious private bath with shower, jacuzzi and bidet. The second bedroom has two twin beds, flatscreen TV/DVD, and a private bath. The third bedroom has a king bed, flatscreen TV/DVD, private bath, and private balcony overlooking the ocean. Bedroom 4 has two twin beds, flatscreen TV/DVD, and private bath. Bedroom 5 has a king-swing bed, flatscreen TV/DVD, private bath, and private balcony overlooking the ocean. The next bedroom has two twin beds, flatscreen TV/DVD, and private bath. Finally, the seventh bedroom has two queen beds, TV/DVD, and private bath with standing shower only. A recreation room downstairs features a 65 inch HDTV/TV/DVD combination, pool table, ping pong table, queen sofa sleeper and full wet bar. 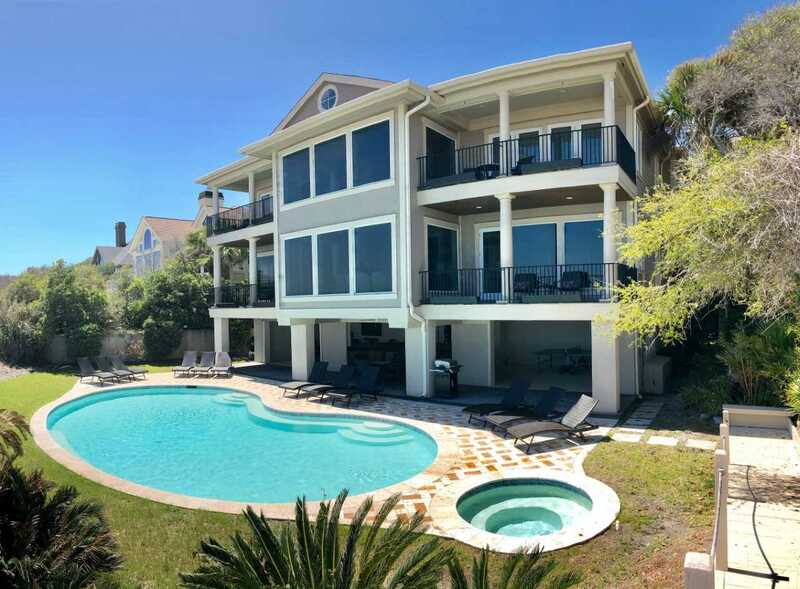 Other amenities of this luxurious 6000 square ft home includes an unusually large heatable pool (28'x14') and spa* surrounded by a large deck, gas grill and stereo with surround sound. *Seasonal rates vary from calendar. Rent this spacious oceanfront home for 20% off the published rate starting May 18th through 25th, 2019. Call for discount!